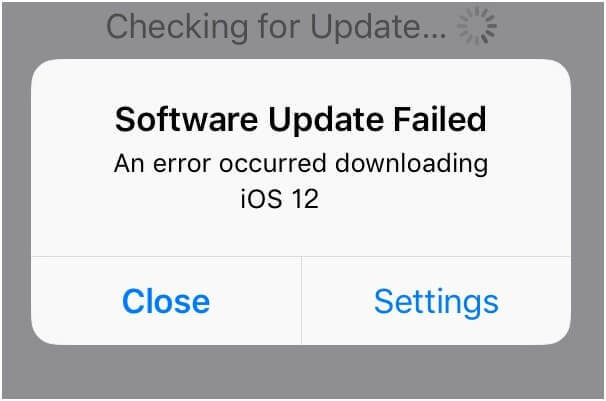 If after upgrading your iPhone to iOS 12, you are also facing the same issue, then you have come to the right place. Just like the above-stated issue, we have received grievances about iOS 12 screen freeze from a lot of users. Ideally, the iOS 12 screen not responding is a common problem that can easily be fixed by following some expert solutions. In this guide, we teach you 5 essential things to do when iOS 12 freezes your screen. Part 1: Why iPhone keeps freezing after iOS update? There could be different reasons for iOS 12 freezing iPhone. Your device could be undergoing one or more of these issues. • The iOS 12 update could have got corrupted in between. • The installation process was not completed in an ideal way. 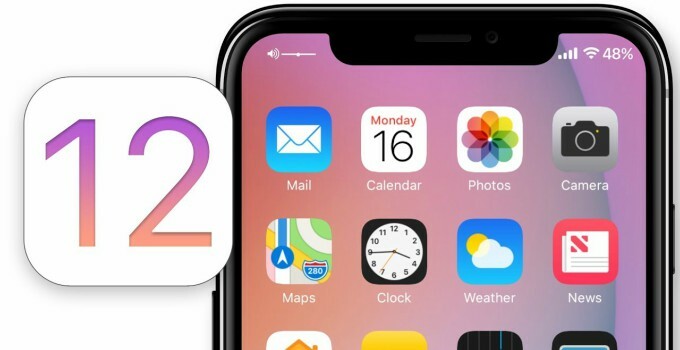 • You have updated your device to an unstable version of iOS 12 (beta release). • There is a lack of free space or cache memory on your iPhone. • Too many apps are running on your device that is affecting its processing. • Any other software-related issue or conflict that could have halted your device’s usual functioning. Getting the iOS 12 screen not responding is quite a common thing. To be honest, it can happen to anyone. Therefore, if iOS 12 freezes your iPhone after the update, then consider following these suggestions. This is the first thing I do whenever my iPhone keeps freezing after iOS 12 update. Since a force restart breaks the current power cycle and starts a new one, it usually fixes all the minor issues with a device. The existing data won’t be lost during the process and hence it is the first thing you should do to resolve the iOS 12 touchscreen unresponsive problem. As you know, the key combinations to force restart a device would vary from one model to another. If you have an iPhone 8 or a newer model, then quick-press the Volume Up button first. As soon as it is released, quick-press the Volume Down button. Subsequently, press the Side key and keep holding it until your phone would be restarted. To forcefully restart your iPhone 7 or 7 Plus, simply press the Power (wake/sleep) and the Volume Down button at the same time. Keep pressing both the buttons for another 10 seconds at least. This will automatically restart your device. If you have an older iPhone model, then press the Power (wake/sleep) key as well as the Home button at the same time. By holding both the keys simultaneously for 10 seconds, your device would be restarted. Let go of them once the Apple logo would appear on the screen. There are times when an iOS update might overwrite some saved settings on our device. This can cause a clash in settings and make your device slow. 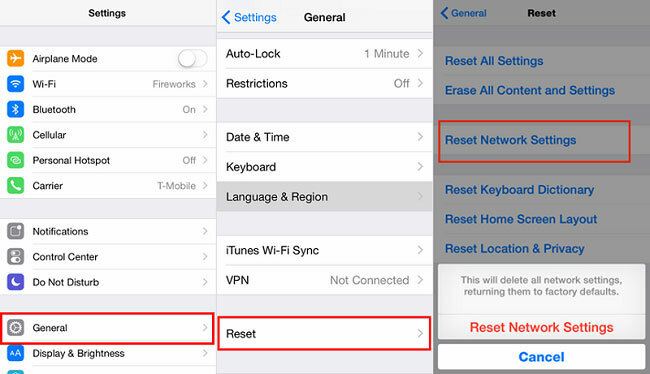 If your device is still responsive, then you can go to its settings and reset them. 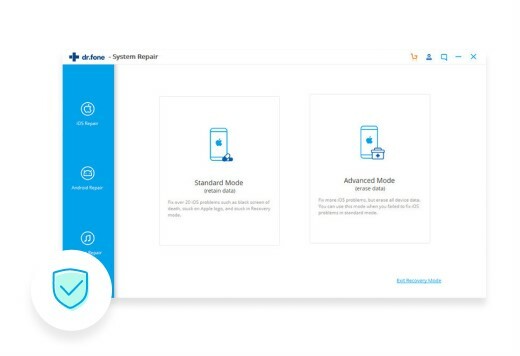 In this way, you would be able to restore your device’s settings as default and resolve any conflict. 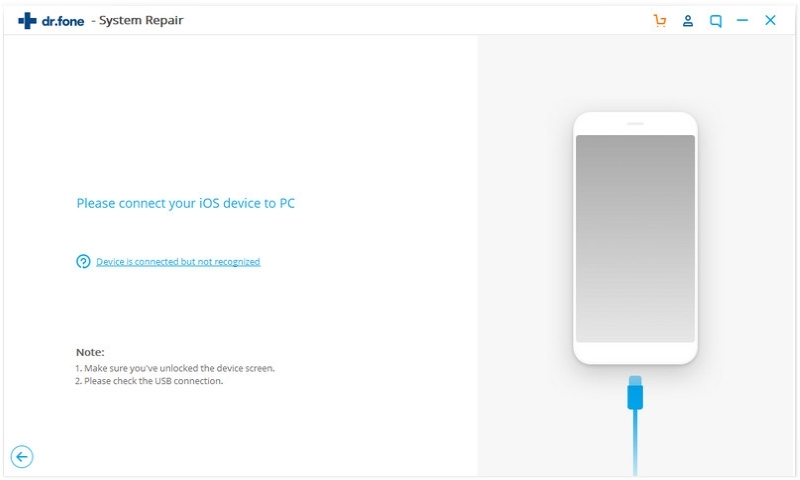 To fix iOS 12 touch screen not working issue, unlock your device and go to its Settings. Browse all the way to its General Settings > Reset and tap on the “Reset All Settings” option. Confirm your choice by entering the passcode of your device. Wait for a while as your phone would be restarted with its default settings. If a minor issue was causing the iOS 12 screen freeze, then this will easily fix the same. While your saved settings will be lost, the data on your device would be retained. While the above-stated solutions are quite easy to implement, they don’t have a high success rate. 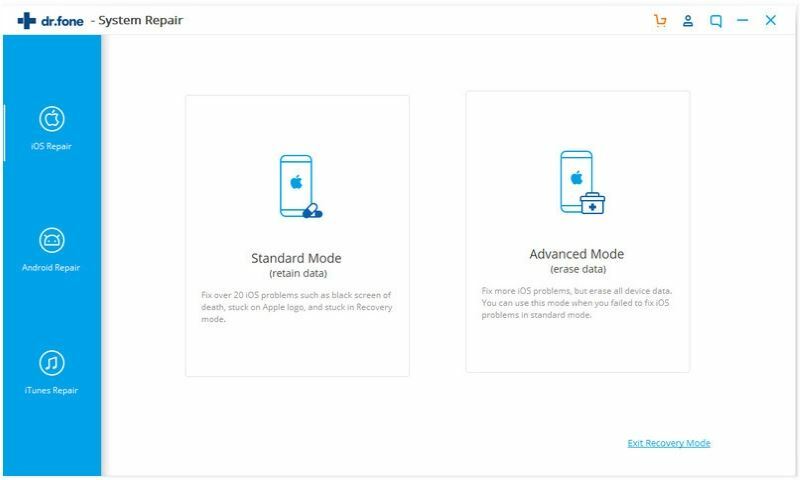 Therefore, if you wish to fix the iOS 12 freezing phone problem by using a professional tool, then give iSkysoft Toolbox - iOS System Recovery a try. The iSkysoft Toolbox is a complete kit that caters to various iOS-related applications. The iOS System Recovery is a dedicated tool that can fix all kinds of problems related to an iOS device. The tool features a user-friendly interface and is known to have the highest success rate in the industry. It doesn’t matter if iOS 12 freezes your phone or whether it has made your screen go blue, the tool can fix it all. It can also fix an unresponsive device, iPhone stuck in the reboot loop, common iTunes error, and more. The best thing about it is that all the data on your iOS device would be retained during the process. Here’s how you can use it. iSkysoft Toolbox - iOS System Recovery helps you fix all iOS system related issues within minutes. It Only fix the system, no data loss at all. It fully supports all iOS device, including iPhone XS/XR/X/8/8 Plus/7/7 plus/6/6s/5 and other former modes. It's fully compatible with the latest iOS 12. Step 1. 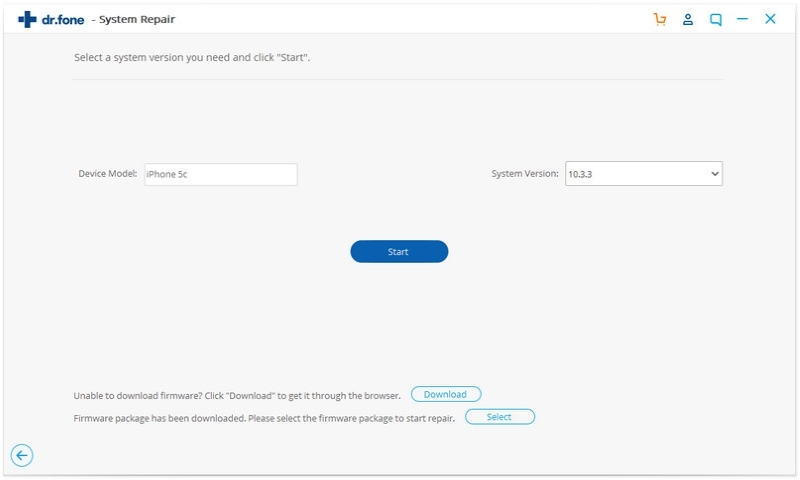 Go to the official website of iSkysoft Toolbox and download the iOS System Recovery tool on your Windows or Mac. Launch it whenever you wish to fix iOS 12 screen not responding issue. Step 2. From all the options provided on its welcome screen, you have to go to the “System Recovery” module. Step 3. Using an authentic lightning cable, connect your iPhone to the system. Once the application detects it automatically, click on the “Start” button to commence the process. Step 4. Great! Now the application will automatically detect your device and its basic details like the model, iOS version, firmware, etc. From here, you can check whether all the obtained information is correct or not. Afterward, click on the “Download” button to continue. This will make the application download the latest firmware update available for your device. Wait for a while and maintain a stable internet connection for the download to be completed seamlessly. Step 5. As soon as the application would complete the download, it will automatically start fixing your device. Simply wait for a while and let it complete the processing. If your device would restart, then unlock it to continue the process. In the end, your phone would be restarted in the normal mode with an updated stable firmware version. You can now safely remove your device. 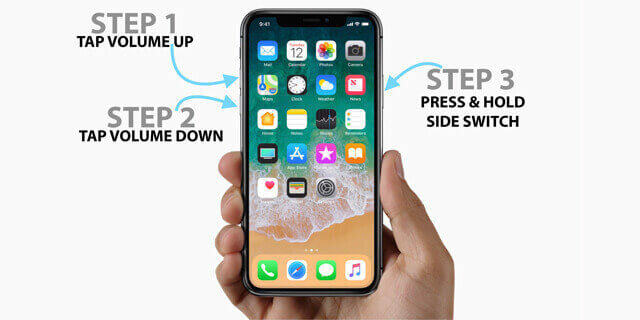 By following this simple click-through process, you can easily fix the iOS 12 screen freeze problem. Please note that it will automatically upgrade your device to the latest supported firmware. Also, if your phone was unlocked or jailbroken, then it will be restored to a stable (non-jailbroken) version in the end. Another way to fix iOS 12 touch screen not working issue is by restoring your device. To do this, you first need to enter your device in the DFU (Device Firmware Update) mode. This will prepare your phone for a firmware update that can be done via iTunes. Though, unlike iSkysoft, this will automatically delete all the existing data and saved settings on your device. Also, it is a more complicated approach and you might not be able to get it right the first time. Using a lightning cable, connect your iPhone to the system. Also, launch an updated version of iTunes on it. If iTunes has not been updated in a while, then go to its menu and upgrade it beforehand. Also, if your device is still on, then power it off first. Now, using the correct key combinations, you need to put your phone in the DFU mode. The key combinations would be slightly different for various iPhone models. For iPhone 8 and newer models: Hold the Side and Volume Down button at the same time for 10 seconds. After that, let go of the Side button while still holding the Volume Down button for another 5 seconds. Let go of it in the end. For iPhone 7 and 7 Plus: Hold and press the Power and the Volume Down button at the same time. Keep holding them for the next 10 seconds. Now, let go of the Power button but keep holding the Volume Down button. Let go of it after around 5 seconds. 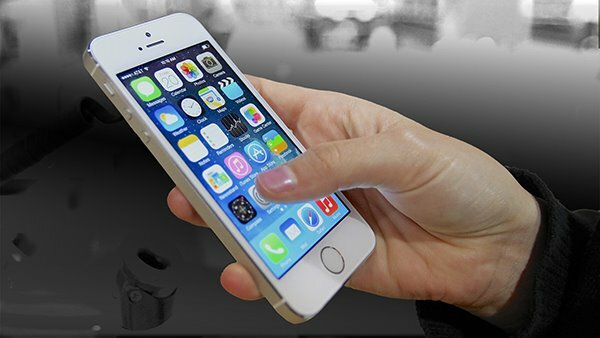 For iPhone 6s and previous models: Just like other models, you need to press the Power and the Home button (not the Volume Down button). Keep pressing both Power + Home buttons for the next 10 seconds at least. After that, let go of the Power button but keep pressing the Home button for the next 5 seconds. Let go of the Home button once your phone enters the DFU mode. As soon as your phone would enter the Device Firmware Update mode, iTunes will automatically detect it and the following prompt would be displayed. Just agree to it and choose to restore your device by following the simple on-screen instructions. In the end, it will be restarted and the existing data on your phone would be lost. A lot of Apple users don’t know, but you can also downgrade your device to a previously stable iOS version as well. Yes – the process is not as simple as upgrading your phone, but it can help you if iOS 12 freezes your phone and none of the other solutions seem to work. Though, you should know that this method will also erase all the existing data and saved settings on your device. Ideally, it is recommended to take a backup of your data before downgrading it. In this way, you can restore the backup via iTunes and fix the problem without any data loss. Since iOS 11.4 was the last stable release of iOS 11 (before iOS 12), we recommend downgrading your phone to the same version. To do it, follow these easy steps. Step 1. 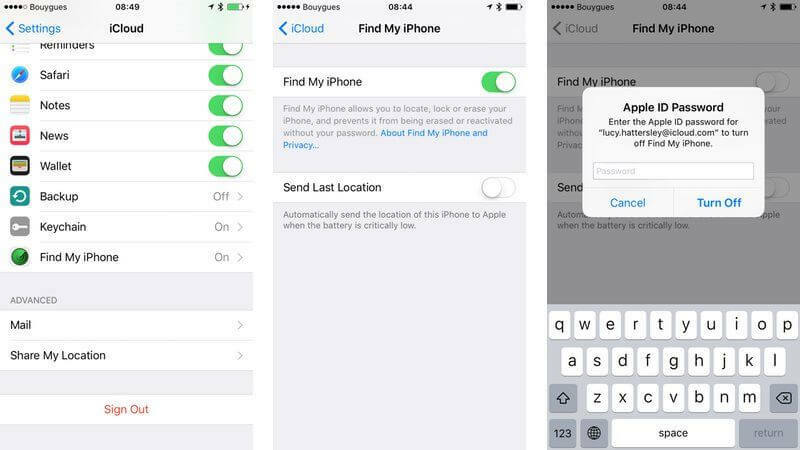 Before you proceed, make sure the Find my iPhone service is turned off on your phone. Go to its iCloud settings > Find my iPhone, turn it off, and enter your phone’s passcode to confirm your choice. If you want, you can disable it by visiting iCloud’s website as well. Step 2. 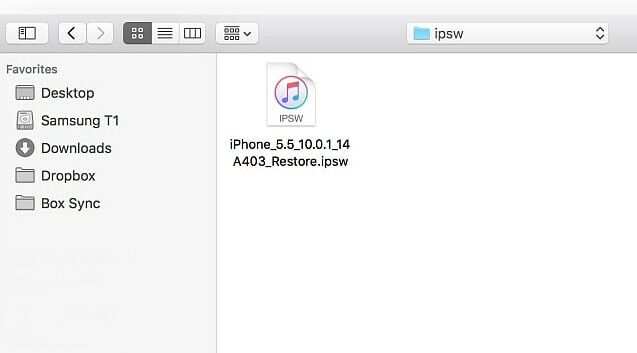 Now, you need to download the IPSW file of iOS 11.4 that would be compatible with your device. To do this, visit this website and provide details regarding your phone to download the correct file. Step 3. Once it is done, connect your phone to the system using an authentic lightning cable and launch iTunes. Select your iPhone from the list of the connected devices and go to its Summary. Step 4. Hold the Shift key for Windows or the Options + Command keys for Mac while clicking on the “Restore iPhone” button. Step 5. This will launch a browser window on the screen. From here, you can browse the saved IPSW file and open it. 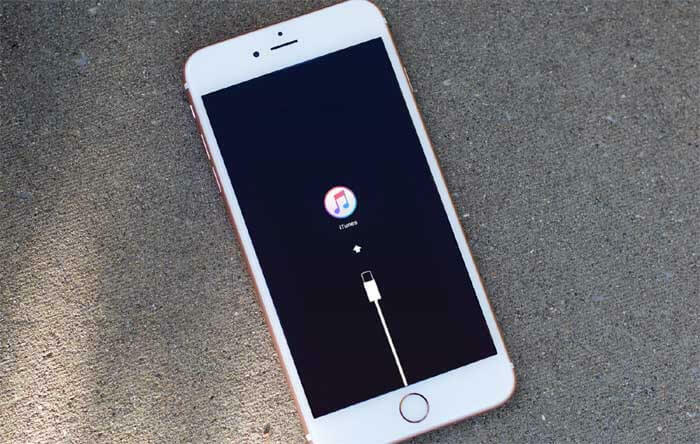 Wait for a while as iTunes will load the file and restore your device to iOS 11.4. 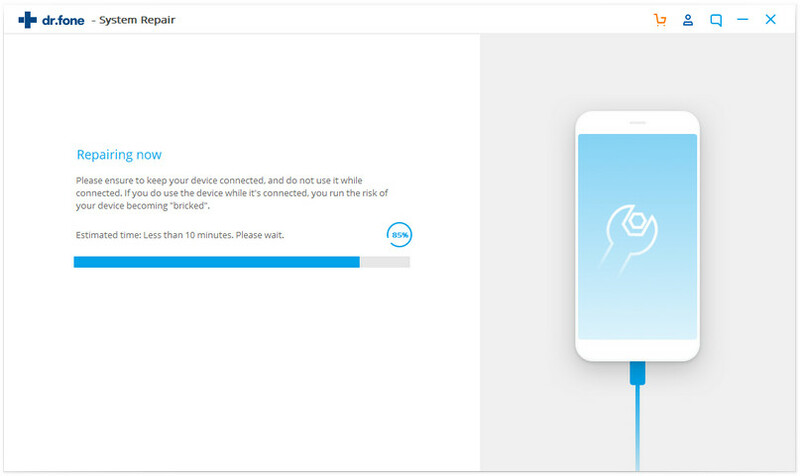 Just make sure that your device stays connected to the system until the process is completed. There you go! Now when you know 5 different solutions to fix the iOS 12 screen freeze problem, you can easily overcome the issue. 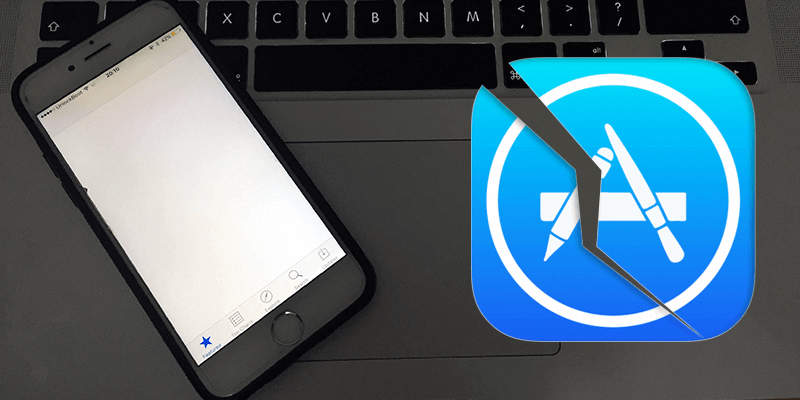 If your iPhone keeps freezing after iOS 12 update and you would like to retain your data while fixing it, then simply try the iSkysoft Toolbox. Its iOS System Recovery tool will fix all kinds of issues related to your device in minutes without any data loss. Trusted by experts, it is a must-have application for every iPhone user. If you are still unsatisfied with iOS 12, you could also choose to downgrade from iOS 12 to iOS 11.